1. I don’t eat dairy which means I’m not a frequent ice cream consumer. 2. 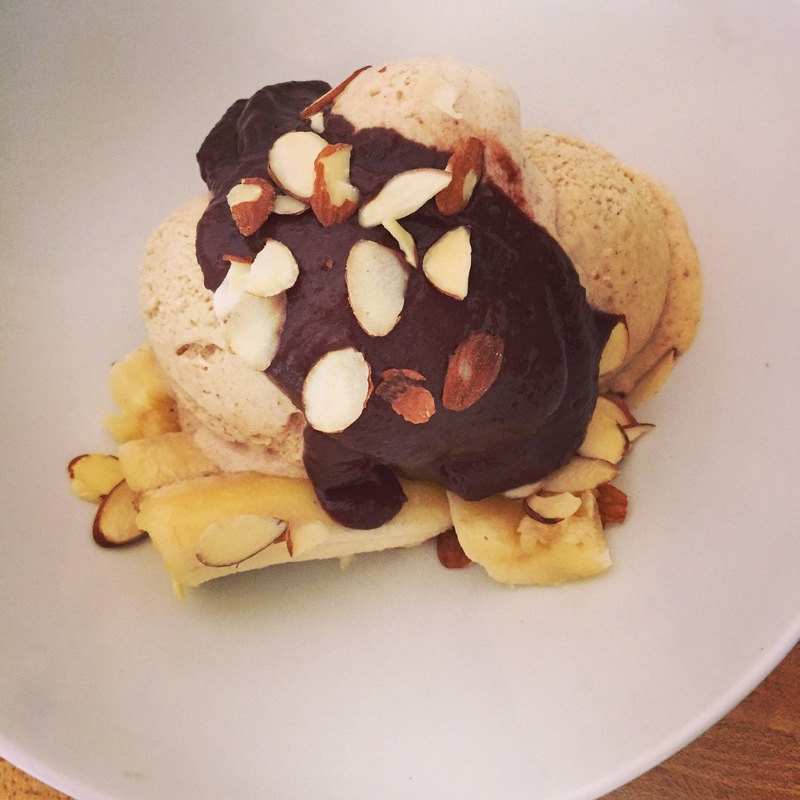 I’ve never really been a banana split-sundae kind of girl. Even as a kid, I mostly just wanted the ice cream and not all the toppings (aka distractions). Well, those banana split thoughts were persistent so after a weekend of fun with the In-Laws and some ice cream making, I had most of the items necessary for my banana split fix. Except one. The Chocolate Fudge! Lucky me, I had just purchased some AMAZING Valrhona cocoa powder (it’s worth it) and I had some dates left over from my ice cream making. Here’s the final result! I used and immersion blender and if you use a vitamix or regular blender, you might have to double the recipe. Place all ingredients in the blender (or container for immersion). Blend until smooth adding more milk to get desired consistency.